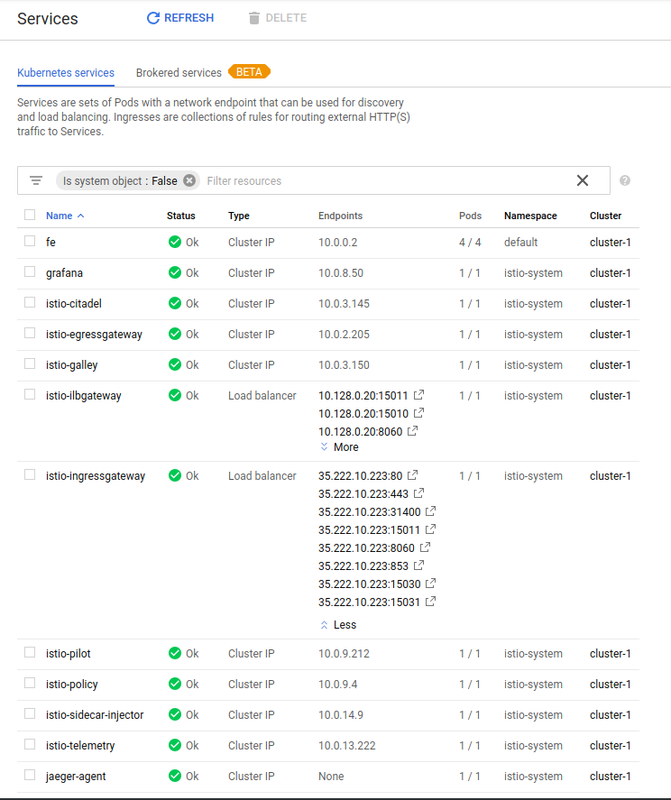 A couple weeks back I started looking at how to setup and expose an Istio service on GKE through a GCP Internal (and external) LoadBalancer. I did work a fair amount on gRPC with GKE (example at the end of this article), and my experience so far with Isito was just HTTP-based traffic. Coincidently, a different customer asked about how to setup a generic GCP-GKE Internal LoadBalancer for ingress traffic with Istio. After i got that bit working, i started tackling how to augment that with gRPC. This article covers how to setup Istio on GKE, then expose an Internal (and External) LoadBalancer for gRPC traffic. After setting this up, the gRPC traffic was (expectedly) automatically LoadBalanced _between_ pods in cluster. I expected this but to see Istio automatically loadbalance individual RPCs sent via one channel was really nice. The source code for the sample application is in the apps/ folder for this repo. Thats a simple app that creates one gRPC Channel to the server and on that one connection, sends 10 RPC requests. The image you’re deploying is salrashid123/grpc_backend…you ofcourse don’t have to deploy that app as-is; you can look at the source then build and upload to your own repo! Ok, now we need to verify that we can connect via internal LB. First create a GCP VM within the same VPC. SSH in and run. So..thare you have it, gRPC loadbalacing from external and internal traffic to a service inside Istio. If you’re interested in generic GKE gRPC loadbalancing setups, please see the examples below.